Let Us Help You Create Your Outdoor Oasis! At Cupps Masonry, we go beyond just doing hardscaping improvements to your outdoor living space by offering finishing touches that make your yard, garden or special place an oasis of comfort and serenity. From the soothing sounds of a water feature, to the warmth and comfort of a crackling fire, to that inviting birdbath for your feathered friends, or garden bench to rest and relax, we can help you choose and customize the perfect accessory. 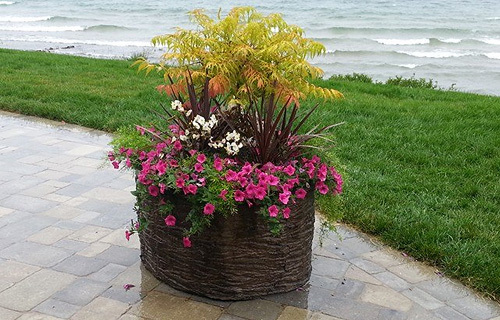 Our custom, one of-a-kind, outdoor accessories are crafted from the same durable, weather and wear-resistant materials we use to fabricate our walls, walkways, and more. 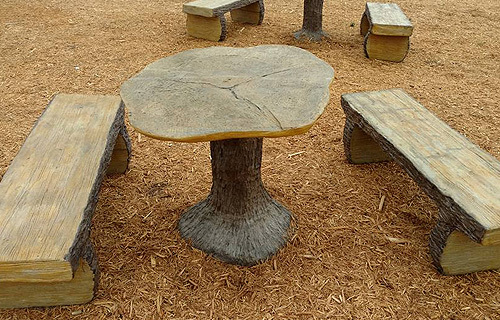 Which means each piece is textured, carved and stained to exact specifications; and is guaranteed to add that “natural” compliment to the look and feel of your overall design. Your possibilities are endless! Call 231-838-1922 to discuss what we can do for you.